What is your remit as Night Mayor of Amsterdam? The Night Mayor is an independent, not-for-profit foundation, aimed at ensuring that the city of Amsterdam has a dynamic and vibrant nightlife – which means that we try to bridge the gaps between the municipality, businesses like nightclubs and festivals, and residents. The idea and the title have been around since 2003, initially in a low-key, voluntary way. When I took over in 2012, I felt it needed more of a structure, so we started an NGO and since 2014 it's really picked up speed. It took a long time to get everybody working to the same ends, but once you have that shared commitment, you can really make a difference. There is more vibrancy in Amsterdam's nightlife now and, at the same time, the city is more liveable for everyone. 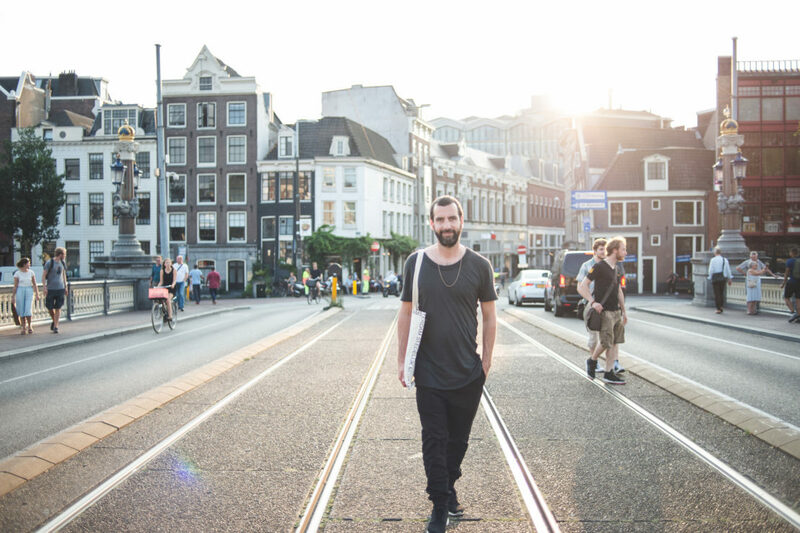 Everybody who is interested in nightlife knows Amsterdam has 24-hour licences, knows the city is really open-minded about its nightlife, knows that we see it not primarily as a commercial industry, tacked on to the city, but as a part of Amsterdam's culture. Whose interests do you see yourself as primarily representing – those of business, the municipality, or the citizens? We can work for all sides. When there's new legislation coming out of City Hall, I help explain it to people in nightlife or to residents. I come from the Amsterdam nightlife scene: I've been a promoter for all of my working life, but we are definitely not a business association. If we were seen as a commercial interest group, it would be impossible to get the access we have to the Mayor's office. We really benefit from our independence. Plus we have the support of the Mayor, so I think we're really in the middle of all the interests. Getting everybody to understand that nightlife is not bad but is something the city can benefit from. The case can be made on three fronts: first, from a social perspective, nightlife is where people meet, where they can express themselves. I always cite the club scene in New York in the 1980s, where the LGBT community really found a home, a voice and a source of mutual support; and my own relationship with my wife started in nightlife. Then there's the cultural side: talent development for the cultural and creative industries – photographers, filmmakers, DJs, live musicians. Everyone knows that Adele started in grassroots venues in London, for example. It is important to have those places where you can build up a fan base, develop your talent and start to build a career in the cultural or creative professions. Third, there's the economic side: the value that nightlife creates for the city via jobs and tourism and through its influence on other scenes: fashion, filmmaking and so on. But of course there are downsides. What are the major problems you have to deal with? We never look away from the downsides. When there are so many different stakeholders, it sometimes easier to say, "OK, this is a problem, it's not working, we have to stop this now." I've seen this happen in a lot of cities around the world, where an industry is killed because something goes wrong. What we always say is that when there's a lot of people dancing, there's also a lot of people working – but for sure, the downsides of nightlife are heavy drinking, violence, use of illegal substances and antisocial behaviour. Of those, what has presented you with most difficulty? Two years ago we had three drug-related deaths. What is horrible for the next of kin is that the person who has died is often characterised as this dumb drug-using person. Nobody's thinking about how the response affects the bereaved. When these tragic accidents happen, it's never really one thing and, unfortunately, there is often an underlying medical condition. Or you were doing a football tournament all day, raving all night, and it's always that you took a combination of substances, often alcohol and of course nowadays MDMA. The focus of the Dutch authorities has always been and still is on harm reduction. Of course, a lot of people probably think the Dutch are super open-minded, but I think we have a really pragmatic approach. We're working on informing people. Unfortunately, drugs are something that are there and have been there for ever but we see nightlife as an opportunity to educate people about their behaviour: we focus on moderation and conveying that you don't have to take drugs. You don't have to drink alcohol. There's a really great programme called Unity in Amsterdam providing peer-to-peer information. I really think behavioural change comes from influencing subcultures because they will influence the mainstream in the end. Do you only deal with nightlife – hospitality and leisure – or do you take responsibility for other aspects of the night-time economy, like deliveries? My focus has been on nightlife. We are a small NGO. There are three people working here. It would be amazing if I could also think about all the people who work at night and if I could clone myself I would definitely do it. We hope our organisation will grow over the years and we will expand our view. Of course I have an opinion on all these topics but our focus is on the creative late-night culture scene, as we call it. What practical changes have you been responsible for? We always work with partners. Nothing is done solely by the Night Mayor's office: it's always a process of coordination and collaboration. The Mayor always signs off, for example, when a new licence is introduced, but we will have advised the Mayor and the city councillors beforehand. Probably the most important initiative has been the 24-hour licence, which benefits nightclubs and also benefits the city. The idea was always that these licences would go to nightclubs with bigger and better programming, not simply to places that wanted to stay open longer. With an all-night licence, the clubs can be these hedonistic crazy places that open and close when they want, a bit like clubs in Berlin. These venues are now in the international spotlight and we see the people who are working there – photographers, DJs, or artists who might be doing an installation – developing international careers as a result. A 24-hour licence also benefits the city because clubs don't have to shut when it's really busy inside at three or four in the morning and people can leave in a much smoother way. If a group of 1,000 people hits the streets at 4am it will create a lot of noise. The city has brought in laws so that you always need to have somebody like a bouncer or a doorman to make sure people don't hang around in front of the venue. They just go home or they go somewhere else. Or they can stay inside of course, because the venue's still open. 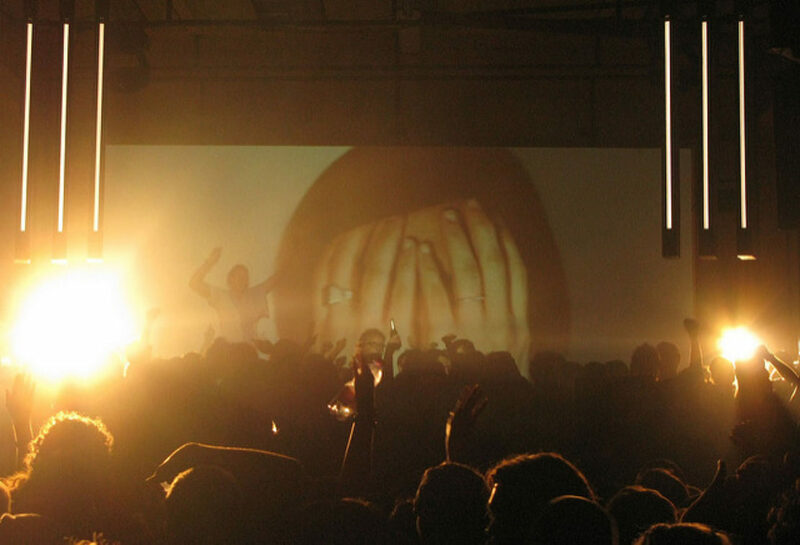 So how do you decide which venues get the 24-hour licenCes? We grant licences not just on the basis of whether there are four walls, a roof and a bouncer, but also on the basis of content. We have written a profile of what we think the city will benefit from, of what will add to the cultural offer, and we shared it with all the nightclubs that wanted to pitch for this licence. There were 10 awarded. We were looking for multi-disciplinary venues – a nightclub, bar, restaurant, but also a gallery, performance space – are there cultural events like theatre or movie nights? What is their offer 24/7? I don't believe the 24-hour economic system is about doing one thing the whole day and night: it's about more efficient use of buildings. So, for example, in one of these venues, they have a kindergarten and a playground for kids on a Sunday afternoon. Is that enough to mitigate the objections? It helps a lot if the people who live around a club are also using it. If you use a venue yourself, you are always more open to listen to their side of the story. If you only see young kids coming in drunk, peeing in the bushes, if it's only bad things, you are not open to have a dialogue about how can things be improved. One of the most visible innovations has been your Square Hosts who, as I understand it, are stewards based in the squares where bars and nightlife are concentrated. How do you avoid adding to revellers' feelings of being policed? The Square Hosts don't write tickets: they're not enforcers. So, for example, people don't always know that you're not allowed to drink outside in the squares in Amsterdam. You'll see the Hosts go up to a group of kids or tourists and they say: "Hey, listen up, you can't drink here, I'm giving you advice. You see that policeman or that community officer over there? He will give you a ticket." So they try to be your friend. But they also try to keep you out of trouble, to direct you towards the right behaviour while welcoming people and maintaining the happy mood. The biggest problem that happens in nightlife is when groups of people from different backgrounds meet each other on the streets late at night. The Square Hosts try to de-escalate the situation if they see something happening. Of course, if they can't, they call the police who will be there really quickly. Our Mayor really wanted to combat violence at night. 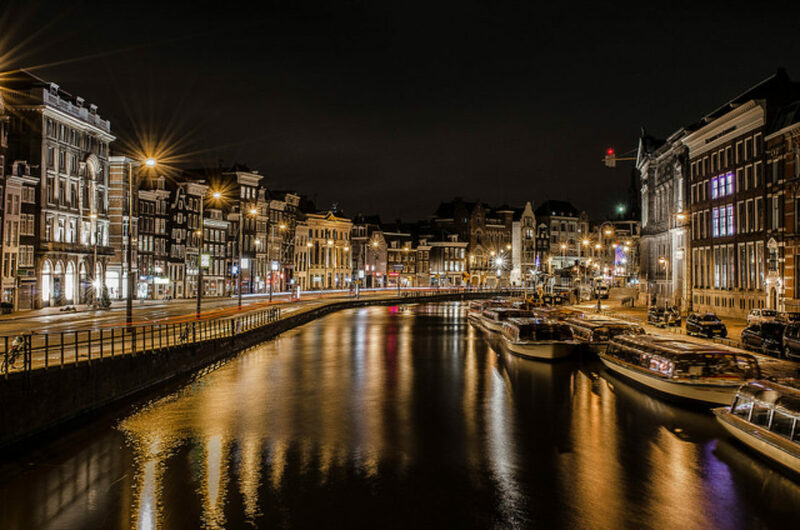 It's not that Amsterdam is a super-violent city at night, not at all, but he wanted to make it more pleasant for residents who live around these squares. The Square Hosts mean that police have been taken off the squares – because late at night there were always really big squad cars and you would get a really grim atmosphere. The police are still in the neighbourhood but they're in the back alleys; they're not so visible. We only started a year ago but we have seen there is 50 per cent less violence and fewer angry people. But it's only a year, so I'm not going to wave the flag saying we've solved it. I can appreciate that the city and businesses might come to see that their interests coincide; but isn't it harder to persuade residents? Residents often feel that their problems aren't being taken seriously and no one is listening to what they have to say. All the businesses in the vicinity of the square have to pay towards half the cost of the Square Hosts, with the city paying the other half. The hope is that if those businesses know their surrounding area better, if they have a relationship with it, they will take better care of it. On top of the Square Hosts there's another thing that I think is an amazing initiative, also in the centre, in the same pilot area. It's a really simple mobile website that allows residents to report complaints at the weekend from 6pm until 6am if, say, there are taxis waiting in front of your door or honking their horns, or people sitting on your doorstep or shouting on the street or whatever. The notification goes to the nearest community officer in the neighbourhood. And residents that live around this square say this website has really changed their lives. The community officers also say it makes their job better because when they write a ticket they can say: "I'm doing this because someone has sent me a message saying they're bothered by what you are doing. So I'm not here to be a bad guy. I’m serving somebody." What advice would you give the London Night TSar? Start with something small where the opportunity for success is high. Then you will get people behind you and gather strength to take on the next, bigger, more complicated task. It's really important to speak the language of the people in nightlife and have their respect, but you also need to be able to find your way in City Hall. I always advise cities to come up with a manifesto about what their nightlife should look like. People from nightlife and City Hall should stand behind it so you know where you want to go. If everybody is focusing on a different outcome, nobody will be happy in the end. So really you have to know what you’re aiming for. You were a club promoter. How important has that been? I think it helps. So does having done production management for big festivals: I was in charge of getting legal permits and licences and I saw there were a lot of misconceptions in City Hall. So if London's Night Tsar is going to be a person with limited nightlife experience, it will be important to go out to the venues – not every night, of course – and be there until the break of dawn, or until they close – in fact, until an hour after they close, because there are also issues that affect public space afterwards, for which no one is taking responsibility. What I saw with the Fabric row was that the Mayor couldn't even mediate because then he was going to get involved. So it would be good if London's Night Tsar could mediate between all the sides. You held the first Night Mayors' summit in April this year. What did that achieve? We had 200 people in total, including 100 people from outside the Netherlands. There were all these people wanting to make nightlife work for their cities. That is what also gives me the most joy, doing something for the city you love, the city that gave you so much and where you live. Cities are different but the same issues boil up everywhere. We had some key out-takes. I will name three: first, deal in facts instead of emotions. Drugs, for instance, is such an unpopular topic to speak about because you are always expected to be for or against, and it becomes emotional, so it really helps to stick to the facts. Second, always invest in quality. I would never say to the Mayor that we need more parties, we need more festivals, we need longer opening hours. What we need is better-quality nightclubs and festivals and nightlife. We don’t need another VIP champagne bar where people are emptying champagne bottles over each other. We need more grassroots venues, more gallery or art spaces that are open late at night. Nobody will learn anything about society – people don't like you saying this – in a VIP champagne bar. But when people go into a gallery or an art space or listen to a talk late at night, it may change the way they look at the city. Third, it's important to try out different things, to run pilots and see what works and what doesn’t and not panic and change it again. Not simply to assume when something isn't working that it needs to be stopped, closed down. We need to be able to fail and try out new stuff.